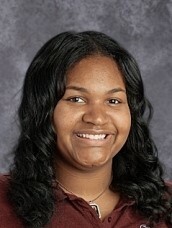 Ms. Bailey is from Dayton Ohio; She attended Central State University for undergraduate school and Northcentral University for graduate school. She has dedicated her life to becoming an educator that will help children find enjoyment in learning. She has been working in the educational field for the past 15 years and She loves it! She is the mother of twins and feels her heart with joy every day. Family means everything to her and her passion for educating young minds is how she knew DLA was the right choice! Ms. Broe grew up in Prospect, Connecticut before attending college at Gettysburg College in Pennsylvania. At Gettysburg College, Ms. Broe studied Philosophy and Education, focusing her last year on researching the ethics of revolutionary action. 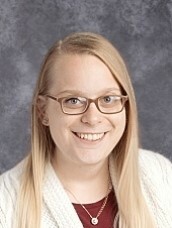 After college, Ms. Broe moved to Cincinnati, Ohio to teach second grade through Teach For America. Ms. Broe is excited to be a new part of the DLA team! Ms. Campbell graduated from Wright State University with a B.A. in Middle Childhood Education and a Minor in History. She loves the variety of teaching skills and tools that can be utilized in the classroom. Miss Davis graduated University of Evansville with a B.A. of Science in Elementary Education and a minor in Psychology. She has taught 4th and 5th grades and has two years of experience. 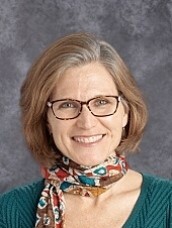 She has been a Eureka Math Curriculum Leader and Blended Learning Leader. She loves the use of data to watch how the students grow. She enjoys the sense of community at DLA. Miss Ellington graduated from the University of Dayton with a B.A in Education. She is certified in Language Arts and Social Studies. She loves how welcoming DLA is and how rigorous the curriculum is. Roberta Kisker is happy to be back in the Midwest after living 12 years in Maryland. Born in Detroit, she received her B.A. degree in English Literature from Wheaton College, her M.F.A. from Brandeis University, and a certificate in Shakespeare Performance from the London Academy of Performing Arts. Ms. Kisker created a one-woman show Shakespearience, which she performed in Chicago, San Francisco, Orlando, Detroit, and New York. Ms. Kisker is married to Scott Kisker, an historical theologian/UMC clergy, and is the grateful mother of 5 children, ages 9-17. She loves bringing her passion for language and story into the classroom. Previously, she taught preaching and scripture reading to graduate student at Drew (NJ) and Wesley(DC) Theological Seminaries for 8 years, as well as Kindermusick for 9 years. She loves the DLA students: They are vibrant and curious! The DLA team of caring and specialized teaches, administration, and staff create a positive learning environment. 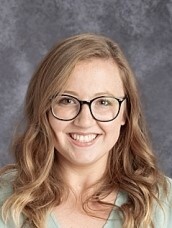 Her goal as Reading Interventionist is to light a fire of enthusiasm for reading and expressing in each of her student, using literacy to pave the way to high school, college and professional life. Mr Matthews graduated from Stivers High School for the Arts. He is certified in Violence Prevention, Youth Specialist, and Rites of Passage. He has worked with youth for over 15 years and is the founder of Chosen Generation Mentoring Program. 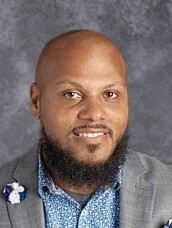 He loves the school culture, friendly environment, and the love for family engagement. Ms. McKnight has a B.A. in Interdisciplinary Studies, Life and Biomedical Sciences, and a minor in Sociology. She has 1 year of preschool and 8th grade teaching experience. She is also a member of Teach for America. She loves that DLA designs the school day to include intervention and enrichment for all students. Miss Roper graduated from Elon University BA in Human Service Studies. She previously worked at Inman Middle School 8th grade math. Miss Roper loves being a part of forming the lives of the young folks in the building. They inspire her to be a better person and teacher!